Sometimes major change happens close to home and in the smallest of ways. 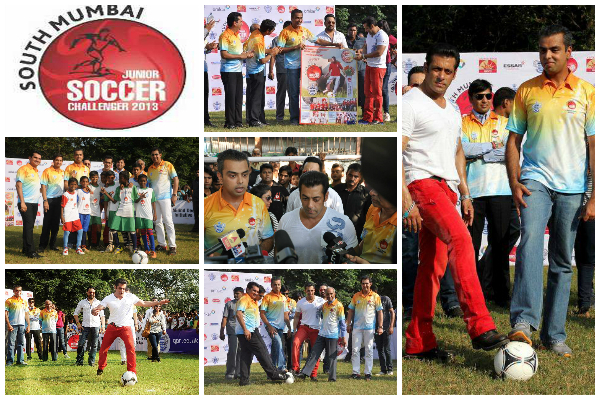 Among the most impactful and exciting of Milind’s youth initiatives is the Junior Soccer Challenger, which for the last five years has brought together children from across South Mumbai to share their talents in a challenging and invigorating global sport that is too often overshadowed in cricket-crazed India. First introduced in 2009, the Challenger has grown over the years to include 5,000 students from 137 schools (including municipality- and government-aided) schools across South Mumbai. Organized in association with the UK football club Queen’s Park Rangers, the Challenger is also designed to help especially talented youngsters achieve their goals and realize their potential. In the latest edition of the Challenger, 30 young people were selected to participate in a training camp hosted by team members from the Queen’s Park Rangers. From those 30 students, two earned the opportunity to travel to the UK and train with the Rangers for three weeks at their own camp in the UK. As the Challenger has grown over the years, Milind has been especially gratified to see it become increasingly inclusive, with a cross-section of South Mumbai kids participating. More than just teaching the value of teamwork, perseverance and healthy outlets for competition, the Challenger has also serve to forge bonds between sectors of society that otherwise can remain sadly out of touch. Sport and even-keeled competition are both essential components of building a healthy, supportive community.